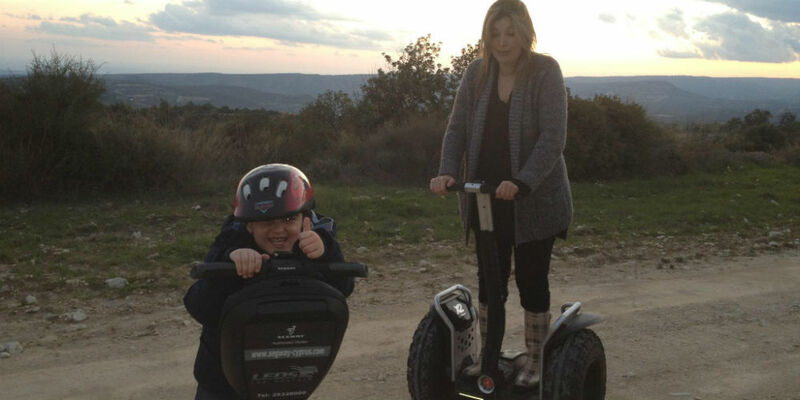 Segway Cyrus is the first official Segway dealers in the Republic of Cyprus. Whether you are an event organizer, adventure park owner, police department, manufacturer, university, government agency or you’re just looking to get around town easily, Segway Cyprus has a solution for you. for the first time ever a unique 1 or 2 hour long mini tour ride along the Limassol coastline riding the new and most exciting two wheeler electric form of transport, the exciting and all new Segway… The Segway is safe, environmentally friendly and easy to ride so don’t be left out from this great opportunity to view the most exciting locations of Limassol while riding along with the group in open air – enjoying both the riding experience and the sights along the way!